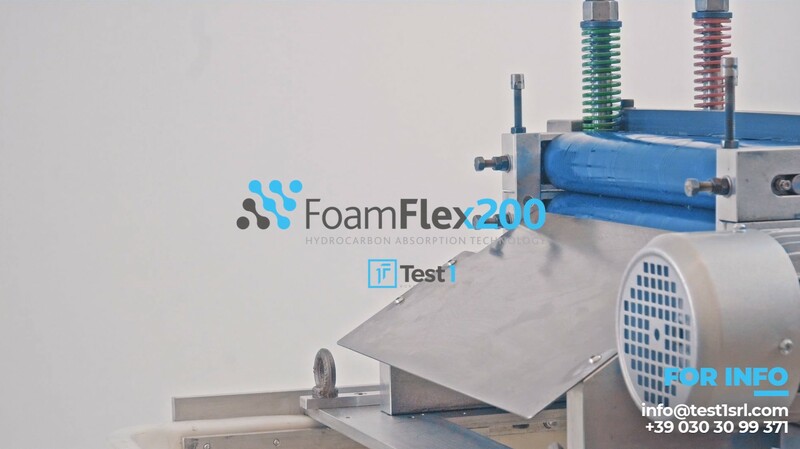 Test1 patented FoamFlex200 a oleophilic, hydrophobic flexible polyurethane foam with oleophilic and hydrophobic properties. 1KG of FoamFlex200 can absorb 6000Kg of spill Oil. Test1 performs scientific research, technology development and experimentation of innovative products for oil disasters. It holds an international patent for an oil absorbent product, unique worldwide, for preventing and reclaiming environmental damage caused by oil spills. Test1’s mission is to reduce companies’ environmental impact, while reducing the cost impact of the environment protection on companies. Test1’s administrative HQ are located in Brescia, with a research laboratory and pilot production facility and representative office in Edinburgh. FoamFlex200 has been used successfully in real situations for the resolution of several oil spills in the world. The product performances highlighted by laboratory tests have been confirmed even in real situations. In the seventies the company Test uno was founded in Brescia, with its headquarters in Via Malta and laboratories in Chiari. Test uno was an associate company of Montedison, creating various inventions in the field of chemistry and physics. In February 2014, as an ideal continuation of the original company, Test 1 S.r.l. was founded, also in Brescia. Part of the research of this new company drew inspiration from some projects which had begun in the late seventies. Per sapere di più su di noi ed avere aggiornamenti visita la nostra pagina Linkedin. Ci puoi trovare ora anche su Instagram, disponibile per documentarsi su alcuni importanti casi di spill oil a livello globale e sulle gravi conseguenze che può provocare. Call us or write us, it’s just a click. 18 - 12 = ___ ?